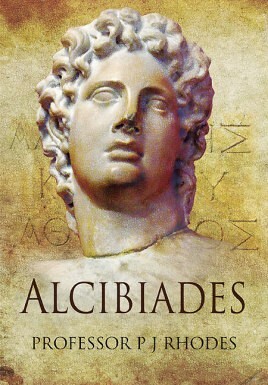 Alcibiades is one of the most famous (or infamous) characters of Classical Greece. A young Athenian aristocrat, he came to prominence during the Peloponnesian War (429-404 BC) between Sparta and Athens. Flamboyant, charismatic (and wealthy), this close associate of Socrates persuaded the Athenians to attempt to stand up to the Spartans on land as part of an alliance he was instrumental in bringing together. Although this led to defeat at the Battle of Mantinea in 418 BC, his prestige remained high. He was also a prime mover in Athens' next big strategic gambit, the Sicilian Expedition of 415 BC, for which he was elected as one of the leaders. Shortly after arrival in Sicily, however, he was recalled to face charges of sacrilege allegedly committed during his pre-expedition reveling. Jumping ship on the return journey, he defected to the Spartans. Alcibiades soon ingratiated himself with the Spartans, encouraging them to aid the Sicilians (ultimately resulting in the utter destruction of the Athenian expedition) and to keep year-round pressure on the Athenians. He then seems to have overstepped the bounds of hospitality by sleeping with the Spartan queen and was soon on the run again. He then played a devious and dangerous game of shifting loyalties between Sparta, Athens and Persia. He had a hand in engineering the overthrow of democracy at Athens in favor of an oligarchy, which allowed him to return from exile, though he then opposed the increasingly-extreme excesses of that regime. For a time he looked to have restored Athens' fortunes in the war, but went into exile again after being held responsible for the defeat of one of his subordinates in a naval battle. This time he took refuge with the Persians, but as they were now allied to the Spartans, the cuckolded King Agis of Sparta was able to arrange his assassination by Persian agents. There has been no full length biography of this colorful and important character for twenty years. Professor Rhodes brings the authority of an internationally recognized expert in the field, ensuring that this will be a truly significant addition to the literature on Classical Greece.